What a lovely photo. It reminds me of photos we took in my grandparents yard. Thank you. I don't know if there's a double exposure or if it's merely shadows. I've been trying to figure that out myself. 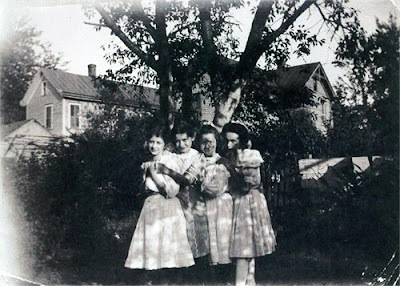 The photo is of my grandmother's sister and three of her friends, but I don't know which is Carrie or the names of any of the friends, unfortunately.